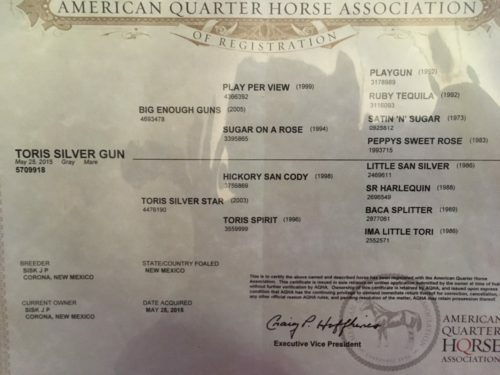 Tori’s Silver Gun “Prim” is 15H, 3 year old filly who was raised on a ranch in central New Mexico. 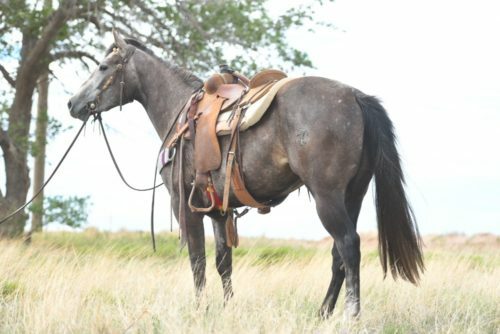 She has drug calves to the fire, gathered cows in rough country and has worked cows in the Sandhills of West Texas. 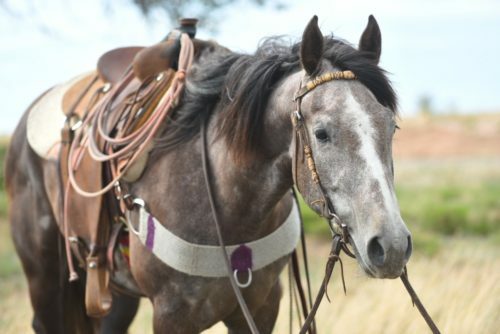 Prim is stout, sure footed, has a great disposition, is easy to shoe, loads/ties and has run with geldings her entire life. 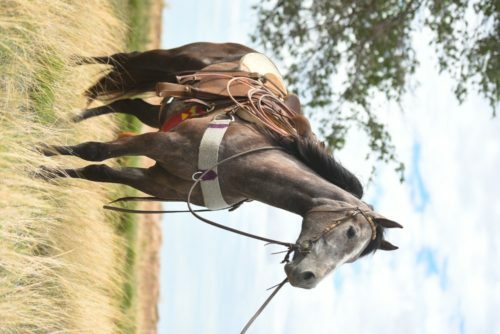 She is ready to go any direction with an impressive pedigree. She is big and flashy. Call or text for any additional information.